I have to confess that I have a limited appetite for carols, and the classic carol discs are rarely ones which I would think of playing repeatedly. 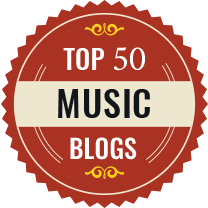 But the genre is one which attracts contemporary composers, and the batch of Christmas discs to which I have been listening contains new carols by a number of composers, as well as new takes on old carols. It isn't all choral music, there is a trio of discs from vocal ensembles, as well as music which fits more into the wider seasonal music theme. [For further information about any of the discs, click on the links to take you to the relevant Amazon page]. 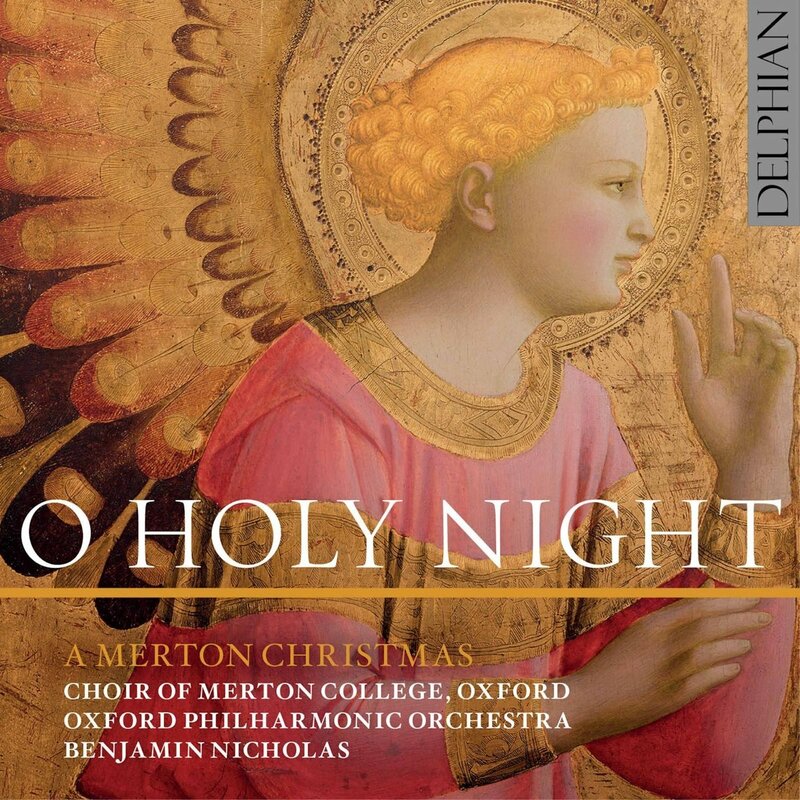 In O Holy Night on Delphian [DCD34192], Benjamin Nicholas and the choir of Merton College, Oxford are joined by the Oxford Phiharmonic Orchestra for recordings of favourite carols. The trick here is to include both the known and the unfamilar, so we start a lovely John Rutter carol which is not the expected one, followed of course by the Shepherd's Pipe Carol and both work well in their orchestral guise. We have traditional carols, in David Willcocks arrangements (where would Christmas be without Willcock's descant to Hark the Herald), Berlioz' The Shepherds Farewell, as well as music by Patrick Hadley, Bob Chilcott, and Thomas Hewitt Jones, plus of course Elizabeth Poston's Jesus Christ the apple tree. This latter is of course unaccompanied, as is the last item on the disc, Morton Lauridsen's O magnum mysterium. 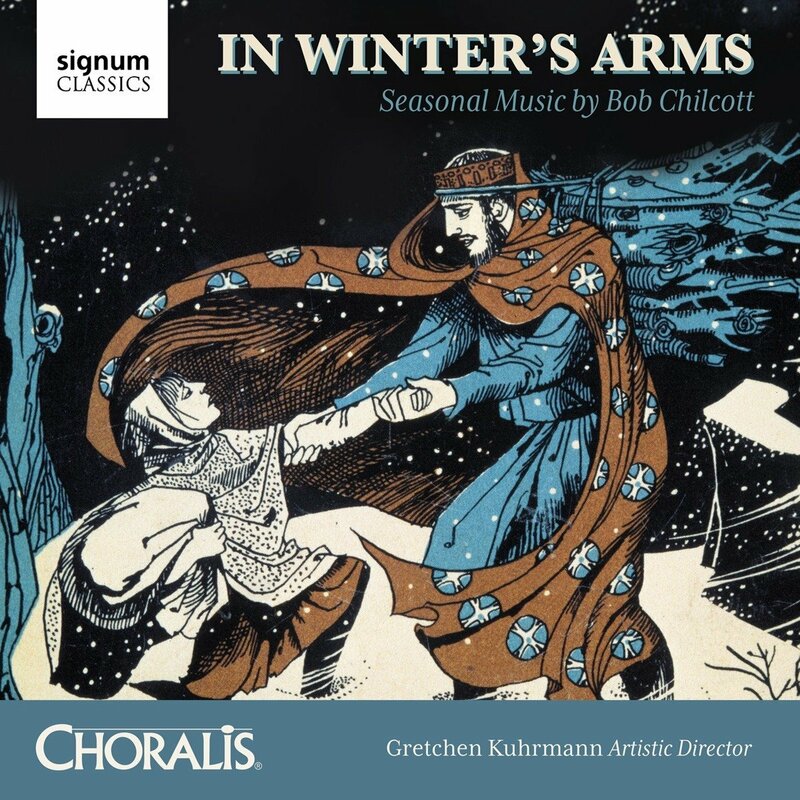 In Winter's Arms on Signum Classics [SIGCD512] presents five seasonal themed choral works by Bob Chilcott performed by the Washington DC-based, Cantus Primo Youth Choir, conductor Gretchen Kuhrmann, with the Classical Brass Quintet. Chilcott's Wenceslas intriguingly combines elements of the familiar carol with a text by Charles Bennett which, whilst a delightful entertainment, makes a real point too. My Perfect Stranger is a lovely piece setting a poem by Kevin Crossley-Holland which narrates the Christmas story, again in a thoughtful and contemporary way. There are two more shorted Kevin Crossley-Holland settings, and the disc ends with Chilcott's lively and uplifting setting of the Latin Gloria. Chilcott's music is always highly approachable, but there are other interesting strands at work too, both musical and cultural. 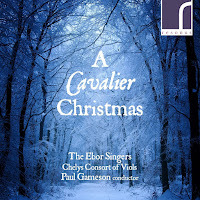 The Silver Stars at Play from Kantos Chamber Choir, directed by Elspeth Slorach, on Prima Facie [PFCD075] offers a fine selection of contemporary carols, 23 in all. 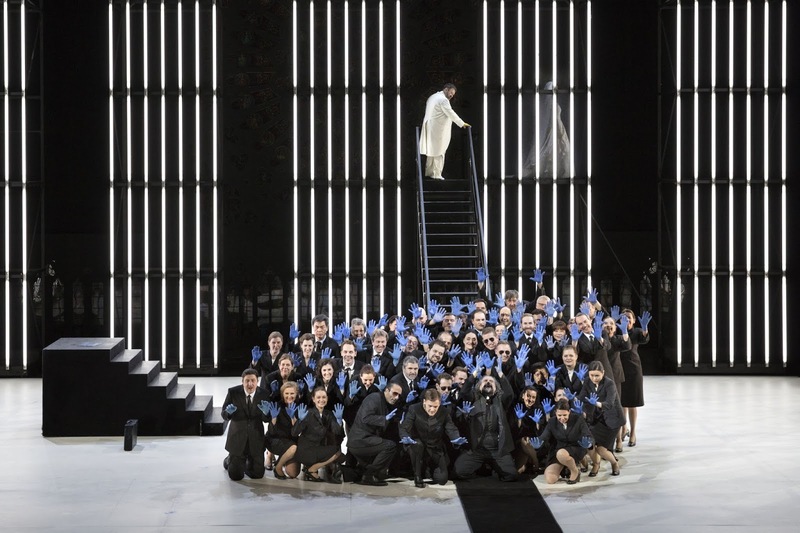 The choir is based on the North West and uses young professional singers. Perhaps a key factor in any decision is that the singers in the choir seem to be encouraged to use vibrato in the choral mix, which may not be to everyone's taste. 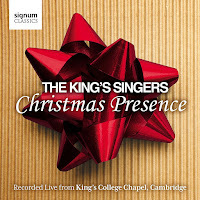 The composers represented on the disc are a wide range, from Paul Ayre's rhythmic Hodie Christus natus est, Cheryl Frances-Hoad's lyrical This Time is Born a Child and Andrew Cusworth's sober and intense Of a Rose, to more well known names such as Peter Maxwell Davies' Child of the Manger and John McCabe's Peace Carol. I was very struck by Sadie Harrison's As-salamu 'alaykum Bethlehem which combines O Little Town of Bethlehem with the Islamic greeting meaning 'Peace be unto you' to striking effect. 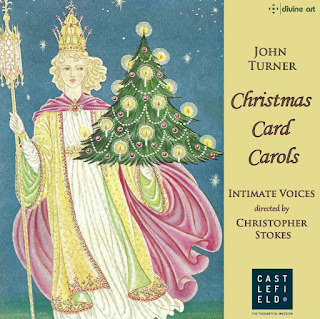 Christmas Card Carols from Christopher Stokes and Intimate Voices on Divine Art [DDA25161] is another disc of contemporary carols, this time with a twist. All the carols on the disc are composed by the distinguished recorder player John Turner, and each was sent as an annual Christmas Card gift to friends. There are 23 carols in all, some with just choir and some with choir and soloist, and there are instruments too. Stokes' style is tonal but interesting, lyrical with harmonic twists. He has a very personal style, and successfully avoids direct influence from the more major contemporary carol writers. The texts vary between specially written ones, and familiar ones; Turner does not shy away from the familiar, there are lovely settings of Lullay, mine liking, Susanni and Away in a Manger. A disc worth exploring. Gentlemen Singers is a vocal ensemble from the Czech Republic, and for their new disc on Convivium Records [CR044] the group offers a selection of Christmas themed music. Billed at Contemplative Christmas Classics, the selection ranges from Monteverdi and Byrd, to Morten Lauridsen, Margaret Rizza and Rihards Dubra, not forgetting John Tavener's The Lamb in a highly creditable performance. The group makes a soft grained sound, though the counter tenor, Filip Damec, has a rather particular quality to the voice. Under pressure the detail can get a little smudgy and tuning suffers, but at their best in Morten Lauridsen's O Nata Lux they make a lovely sound. 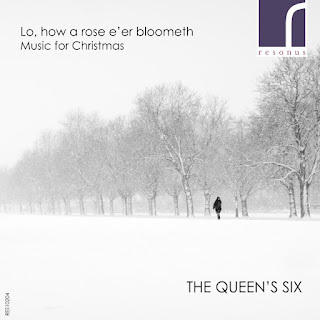 Another vocal ensemble, The Queen's Six, presents Lo, how a rose e'er blooming: Music for Christmas on Resonus Classics [RES10204]. An all-male sextet, the group's name comes from their drawing their singers from the ranks of the lay clerks at St George's Chapel, Windsor. 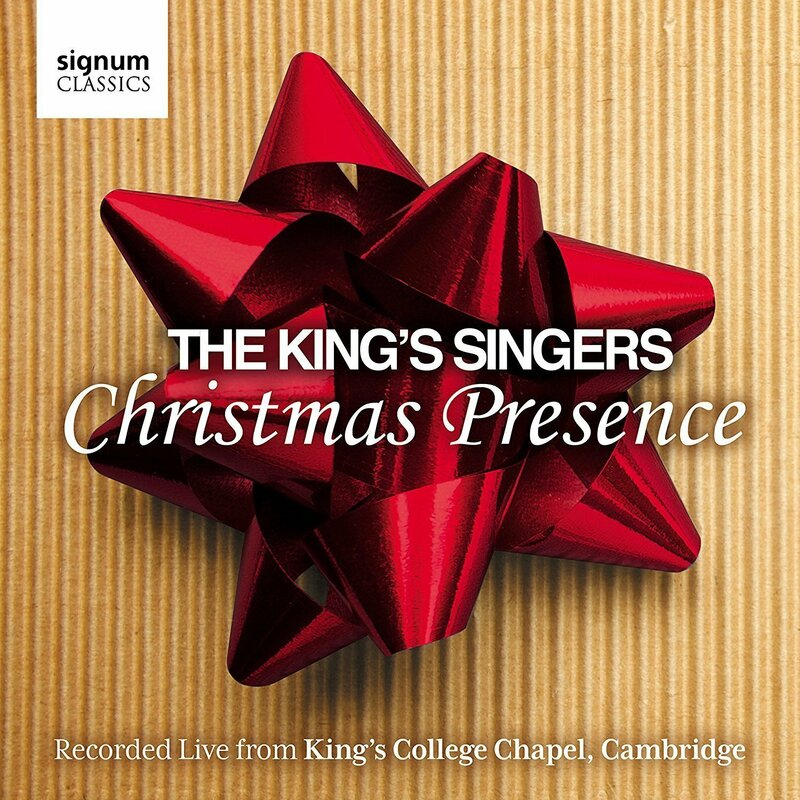 On this disc we have a combination of standard Christmas classics (the disc opens with Sir David Willcock's well-known arrangement of O come, all ye Faithful with the descant taken by the tenors), music from earlier times by Byrd, King Henry VIII, Tallis, and Tye, and more recent fare. Whilst the early music is beautifully and engagingly done, it is this later music which provides much interest, Tchaikovsky's Crown of Roses, Kennneth Leighton's The Christ-Child lay on Mary's lap, Thomas Hewitt Jones' Lullay, my liking and Richard Rodney Bennett's Out of your sleep. A beautifully produced and sung disc, if this combination of repertoire appeals then this is for you. Also on Convivium Records, Malcolm Archer and the Winchester College Quiristers are joined by harpist Katie Salomon for Britten's A Ceremony of Carols [CR045]. Couplings for this work can be tricky, and the disc shows imagination by including Britten's striking 1969 Suite of Harp written for Ossian Ellis and a showcase for harp writing which Katie Salomon certainly does not shy away from. The disc is completed with Holst's Choral Hymns from the Rig Veda for upper voices and harp, mystical magical pieces. The trebles make a bright, open sound, both immediate and engaging. Perhaps not the most 'perfect' of performances, this is a very communicative disc. 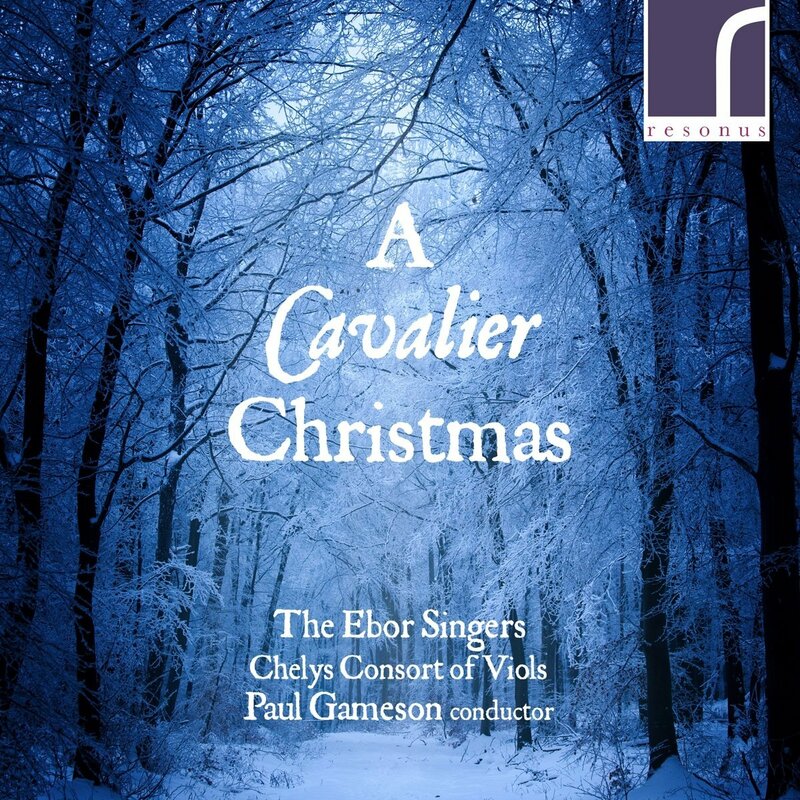 The Ebor Singers, conductor Paul Gameson, is joined by the Chelys Consort of Viols for A Cavalier Christmas on Resonus Classics [RES10202]. Based in York the Ebor Singers draws it members from professional singers and professionally trained amateur singers, and it was founded by Paul Gameson to further his research into French and English vocal music of the 17th centuries. 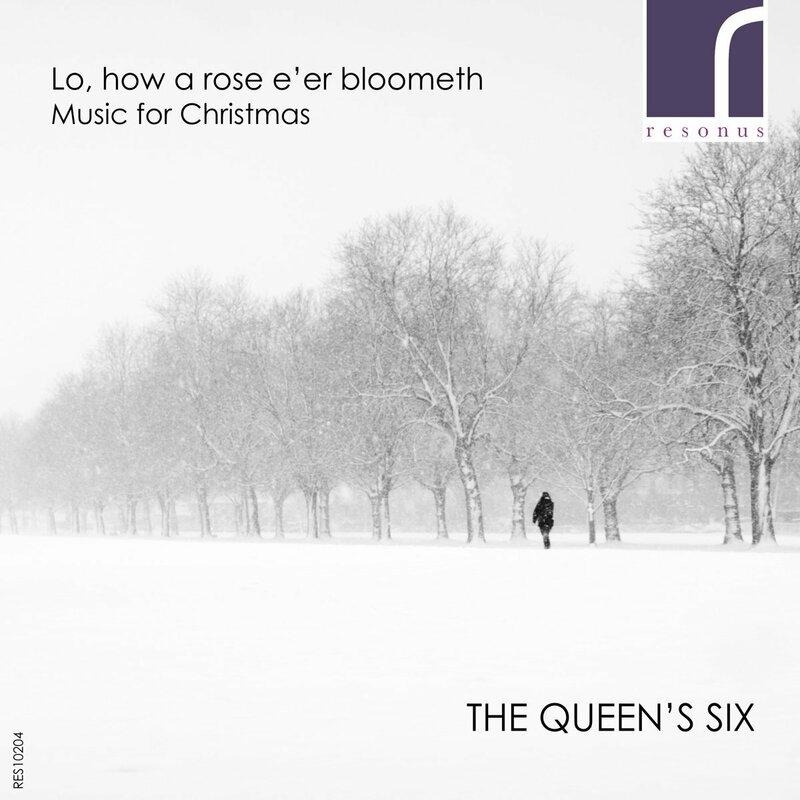 So here we have an exploration of Christmas music from the reign of Charles I. We start with Gibbons (See, see the Word is incarnate) and Byrd (Behold I bring you glad tidings) and work our way towards John Jenkins' Newark Siege, a work for viol consort which depicts the Civil War siege. Along the way there is music by Richard Dering for Queen Henrietta Maria's Roman Catholic Chapel, a lullaby for the Virgin by Martin Peerson, plus music by both William and Henry Lawes. The choir makes a fine flexible sound, with clear young voices. An imaginative disc which offers different fare to the typical Christmas menu. Jesu, Joy of Man's Desiring - Christmas with the Dominican Sisters of Mary from De Montfort Music / Sony Classical  is something of a missed opportunity. The nuns from the Dominican Sisters of Mary, at the Motherhouse, Ann Arbor, Michigan, present a selection of Christmas music. The programme opens enterprisingly with the plainchant Christmas proclamation (sung in English), but thereafter we have a selection of what might be termed Christmas songs, from Bach's Jesu, Joy of Man's Desiring, to The Carol of the Bells and We Wish you a Merry Christmas. They are a lovely choir with a young, light sound and I would have love to have heard them in a selection of plainchant, but perhaps the convent no longer sing music like that. 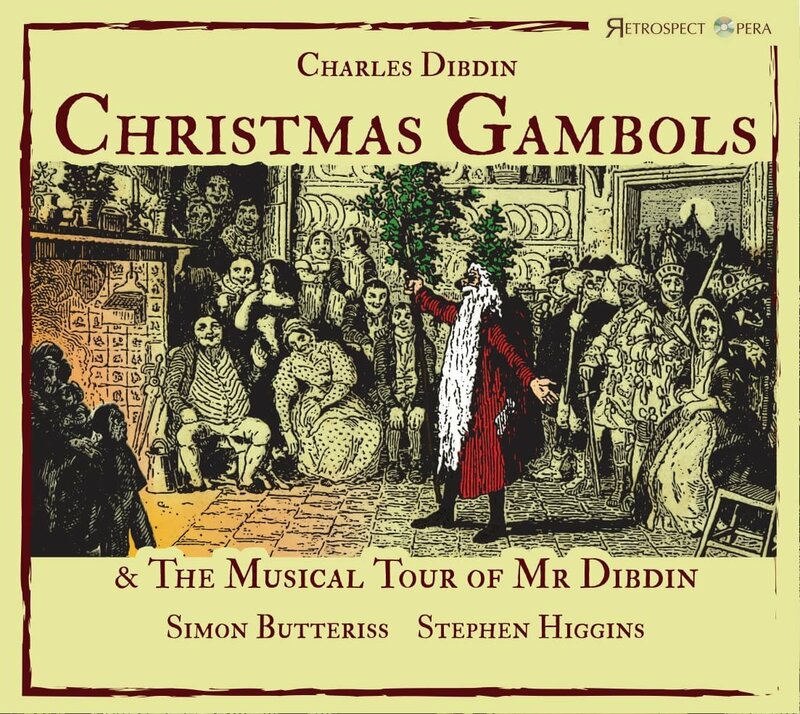 For something really different, we turn to baritone Simon Butteriss and pianist Stephen Higgins whose Christmas Gambols and The Musical Tour of Mr Dibdin on Retrospect Opera [RO 003] present a selection of music by the compose, writer, actor, singer, impresario and solo performer Charles Dibdin (1745 - 1814). 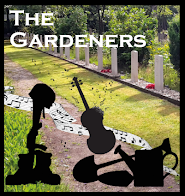 The Musical Tour Mr Dibdin combines Dibdin's songs with his own narrative (spoken and adapted by Simon Butteriss) which describes his music tour of Great Britten. 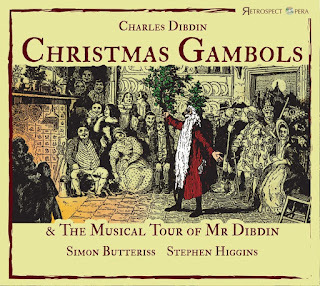 Christmas Gambols was one of Dibdin's later shows. Butteriss enters into the material with a will, completely capturing the engaging tone of Dibdin's narratives and, accompanied by Stephen Higgins on forte-piano, giving is a wide selection of Dibdin's songs. This is a fascinating glimpse of former styles of entertainment, delightfully crazy but I am not sure I will play the disc that much.